Hoboken Therapist: Konstantin Lukin - Therapist 07030. Send A Message To Dr. Lukin. 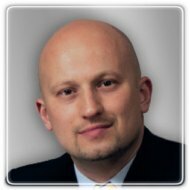 Dr. Konstantin Lukin, Ph.D., is a NY and NJ licensed clinical psychologist who maintains a private practice in Ridgewood, NJ and Hoboken, NJ. He is a graduate of Fairleigh Dickinson University, and has extensive, robust clinical and research experience that spans individuals of all ages in inpatient and outpatient settings. Dr. Lukin worked for years as an associate clinician in an elite private practice in New Jersey, conducting outpatient therapy with children, adolescents, and adults. During his graduate career, Dr. Lukin worked with individuals of all ages as well as their families, including those considered severely and persistently mentally ill; co-led groups with individuals diagnosed with Obsessive-Compulsive Disorder as well as with children and adolescents in an outpatient setting; administered a variety of psychological test batteries, including neuropsychological, cognitive, and personality assessments; conducted diagnostic and intake interviews; and prepared evaluation reports. Through these experiences, Dr. Lukin gained training in cognitive-behavioral, dialectical behavior, schema-focused, and play therapy. Consistent with his commitment to linking theory and practice, Dr. Lukin also has been involved with research projects throughout his career, including two National Institute of Mental Health (NIMH) funded studies. He has co-authored a book chapter, given numerous presentations, and attended many conferences. Dr. Lukin specializes in men’s issues and couple’s counseling. His therapeutic approach focuses on providing support and practical feedback to help patients effectively address personal life challenges. He integrates complementary modalities and techniques to offer a personalized approach tailored to each patient. With compassion and understanding, he works with each individual to help them build on their strengths and attain the personal growth to which they are committed.